For international orders, please message TheBookDealerNG on +234(0)810 255 0106. 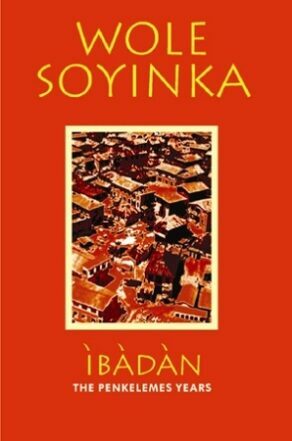 Ibadan is the third volume in Wole Soyinka’s series of memoirs, the sequel to Ake and Isara. In a mixture of fact and fiction – to protect the innocent and nail the guilty and shape an often intolerable reality – it tells of the coming of age of a writer and political activist; and of a nation’s betrayal. 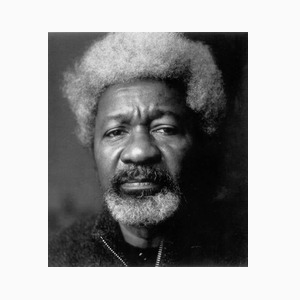 Akinwande Oluwole "Wole" Babatunde Soyinka, born 13 July 1934, is a Nigerian playwright and poet. He was awarded the 1986 Nobel Prize in Literature, the first African to be honored in that category. Soyinka was born into a Yoruba family in Abeokuta. After studying in Nigeria and the UK, he worked with the Royal Court Theatre in London. He went on to write plays that were produced in both countries, in theatres and on radio. He took an active role in Nigeria's political history and its struggle for independence from Great Britain. In 1965, he seized the Western Nigeria Broadcasting Service studio and broadcast a demand for the cancellation of the Western Nigeria Regional Elections. In 1967 during the Nigerian Civil War, he was arrested by the federal government of General Yakubu Gowon and put in solitary confinement for two years. 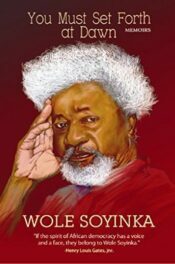 In Nigeria, Soyinka was a Professor of Comparative Literature (1975 to 1999) at the Obafemi Awolowo University, then called the University of Ife. With civilian rule restored to Nigeria in 1999, he was made professor emeritus. While in the United States, he first taught at Cornell University and then at Emory University where in 1996 he was appointed Robert W. Woodruff Professor of the Arts. Soyinka has been a Professor of Creative Writing at the University of Nevada, Las Vegas and has served as scholar-in-residence at NYU’s Institute of African American Affairs and at Loyola Marymount University in Los Angeles, California, US. He has also taught at the universities of Oxford, Harvard and Yale. 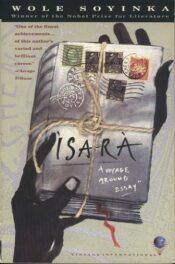 The 1986 winner of the Nobel Prize in Literature–the first African to be awarded the prize–writes a highly incisive and deeply affecting re-creation of colonial Nigeria based on a cache of letters he discovered after his father’s death. 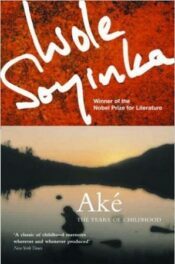 Aké: The Years of Childhood gives us the story of Soyinka’s boyhood before and during World War II in a Yoruba village in western Nigeria called Aké. A relentlessly curious child who loved books and getting into trouble, Soyinka grew up on a parsonage compound, raised by Christian parents and by a grandfather who introduced him to Yoruba spiritual traditions. His vivid evocation of the colorful sights, sounds, and aromas of the world that shaped him is both lyrically beautiful and laced with humor and the sheer delight of a child’s-eye view. A classic of African autobiography, Aké is also a transcendantly timeless portrait of the mysteries of childhood. In the tough, humane, and lyrical language that has typified his plays and novels, Soyinka captures the indomitable spirit of Nigeria itself by bringing to life the friends and family who bolstered and inspired him, and by describing the pioneering theater works that defied censure and tradition. Soyinka not only recounts his exile and the terrible reign of General Sani Abacha, but shares vivid memories and playful anecdotes–including his improbable friendship with a prominent Nigerian businessman and the time he smuggled a frozen wildcat into America so that his students could experience a proper Nigerian barbecue. More than a major figure in the world of literature, Wole Soyinka is a courageous voice for human rights, democracy, and freedom. You Must Set Forth at Dawn is an intimate chronicle of his thrilling public life, a meditation on justice and tyranny, and a mesmerizing testament to a ravaged yet hopeful land. 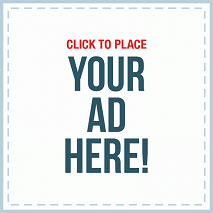 Sign up for news about books, authors, offers and more from TheBookDealerNG. © 2019. TheBookDealerNG. Site by JORP DESIGNS.